An intricate 50ft scale model of Hogwarts School of Wizardry was revealed for the first time today. Harry Potter fanatics will get the chance to view it for themselves when it goes on display in London as part of the new Warner Brother's Studio Tour - The Making of Harry Potter. 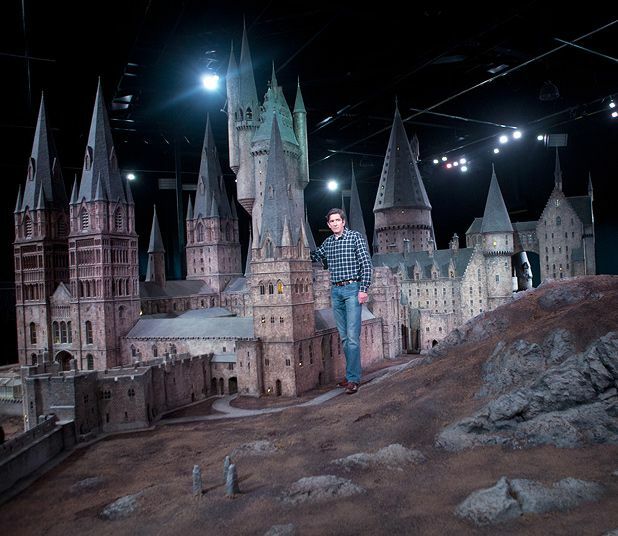 The model will act as the grand finale of the tour which will also give fans the opportunity to step inside the Grand Hall, explore Dumbledore's office and view props and costumes from the iconic blockbusters. It is believed to have taken a team of 86 artists and crew members a combined total of 74 years' worth of hours work to create and maintain the model. It is so detailed that all doors are hinged, real plants are used for the landscaping and mini birds are housed in the Owlry. It also contains over 2,500 fibre optic lights which simulate lanterns and torches and give the illusion of students passing through the hallways. The tour is due to open on 31st March 2012. Tickets are on sale now, costing £28 for adults. £21 for children or £83 for a family of four. Tickets available at www.wbsstudiotour.co.uk.